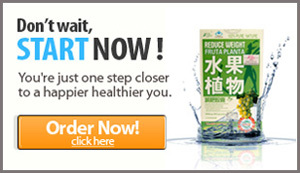 Authentic Fruta Planta 100% all natural Chinese solution to fight Obesity! that rids your body of belly fat — Once and for all. Lose weight naturally without stepping foot in a gym! Manufactured Certified AUTHENTIC FRUTA PLANTA and 100% all Natural. This Chinese weight loss product is an all natural organic solution to SIMPLE, FAST weight loss. As Fruta Planta TARGETS THE ABDOMEN, it eliminates body fat from your hips, arms, buttocks and face. You can lose up to 15 pounds in the first month without diet or exercise. Fruta Planta boosts your metabolism, curves your appetite and cuts food cravings. Not to mention, there are no proven long term side effects found with using this weight loss product. This all natural Chinese pill is quick and easy! Fruta Planta is formulated to help users reduce their appetite and fight daily cravings. Simply take (1) capsule daily with a 8oz glass of room temperature water. Then just drink an additional gallon of water each day and watch the pounds WASH away.